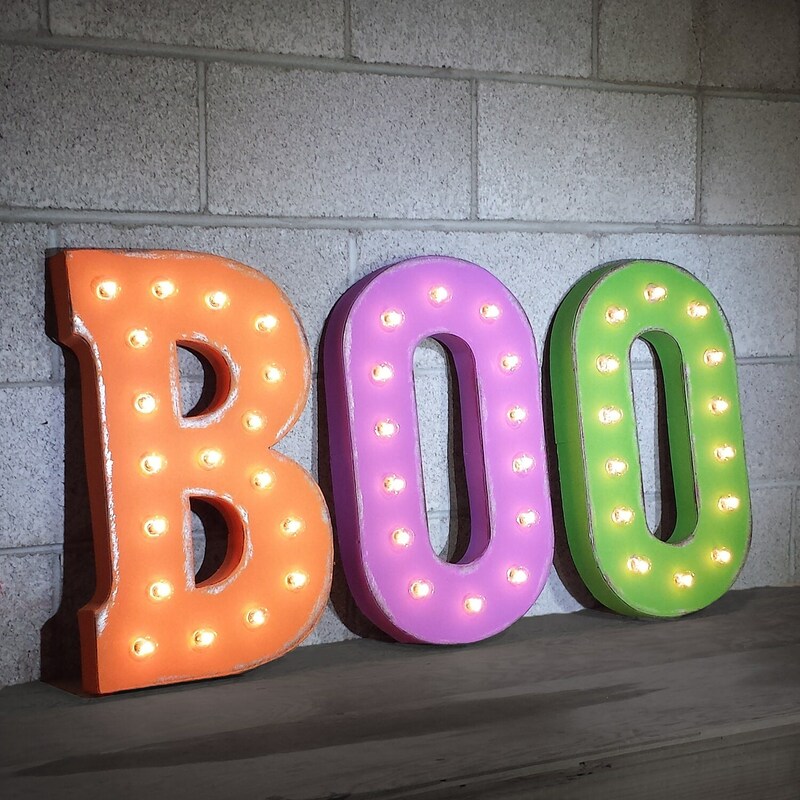 3 individual letters spell out the word "BOO"
21" tall x 3" deep. 43" wide if they are touching one another side-by-side. We add enough slack so the letters may be spaced apart, approximately 3 feet in between each letter. Wired to plug-in to each other side by side, leaving only one plug to plug-in to an outlet. Good for both INDOOR & OUTDOOR use! MORE FUNCTIONS ... MORE FUN?! Our letters are everywhere, from a candy store in Colorado to a night club in the UK! 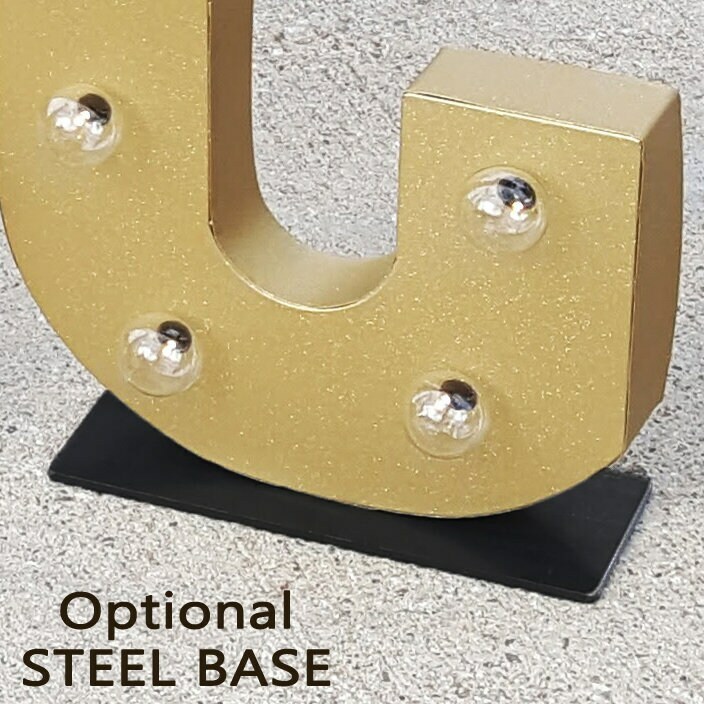 Our letters are made from sturdy sheet metal, welded for long lasting stability! Our metal signs are artistically hand painted with our own custom made indoor/outdoor chalk paint to resemble the look of a rustic sun faded vintage marquee letter from a nostalgic era! We have the entire alphabet available, Curved Arrow & Ampersand! Would you like another word?? Purchase multiple letters to create any word or phrase! OUR BULBS have the vintage Edison look with a nice amber glow. Each bulb is 5 watts and can be dimmed with our optional dimmer. We include 4 extra bulbs with every letter ordered. Need more in the future? Visit our Etsy shop! UNPLUG THE SIGN WHEN REPLACING THE BULBS! Our signs arrive with the bulbs already installed, simply remove from the box and plug it in for instant gratification! Shipping costs will be combined if ordering multiple products. If you are outside the U.S. (excluding Canada) you will need a converter adapter. Our signs are designed to be used on a standard U.S. household 120 volt circuit. Each light is assembled with care by hand and is thoroughly tested and inspected. All lamps and fixtures are made with UL listed or approved components. However, the combined fixture itself is not UL listed. It is the customers responsibility to determine if the item(s) purchased are suitable and/or safe for intended use, we advise checking with a licensed electrician or contractor before ordering and installation. 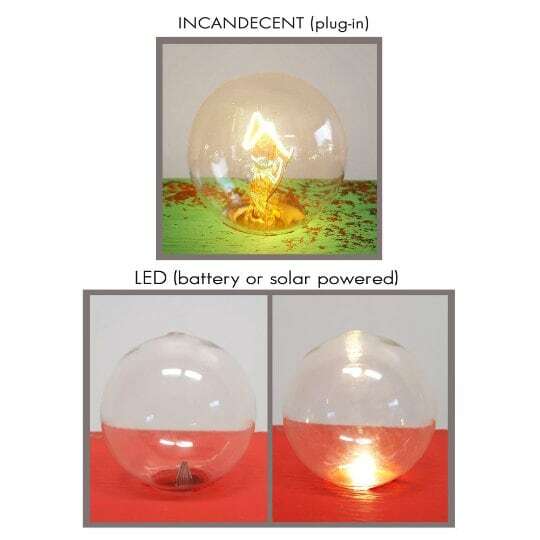 These are incandescent bulbs, like all incandescent bulbs, they can get hot. Our plug-in version is not recommended for a child's room. Follow all standard safety precautions as you should/would with any electrical lamp. Rustalgic is not liable for any damages caused by the use or misuse of these products. So so cute!! 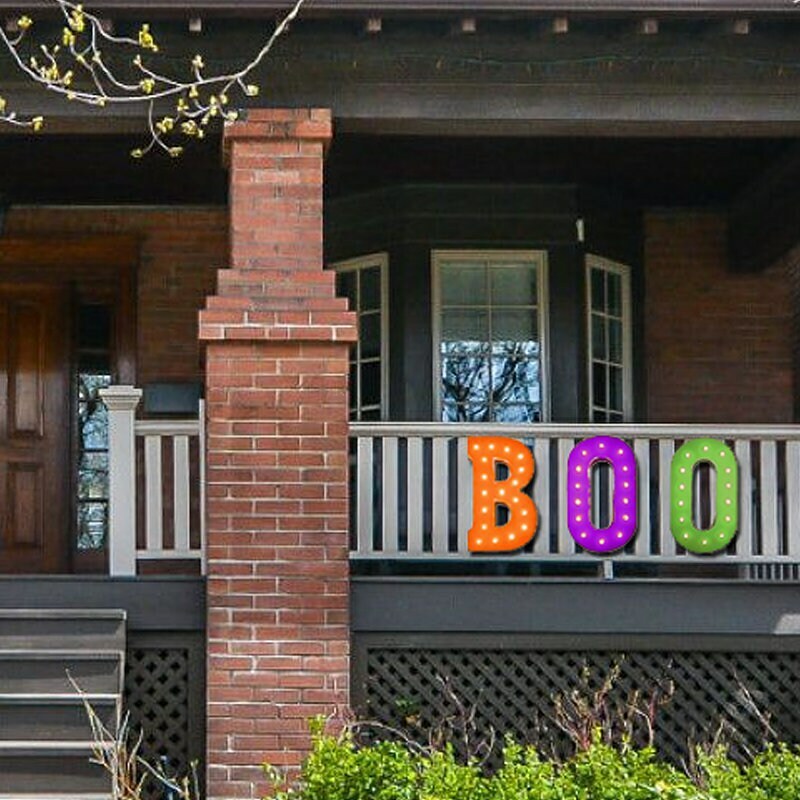 I love my 'BOO' Halloween letters! 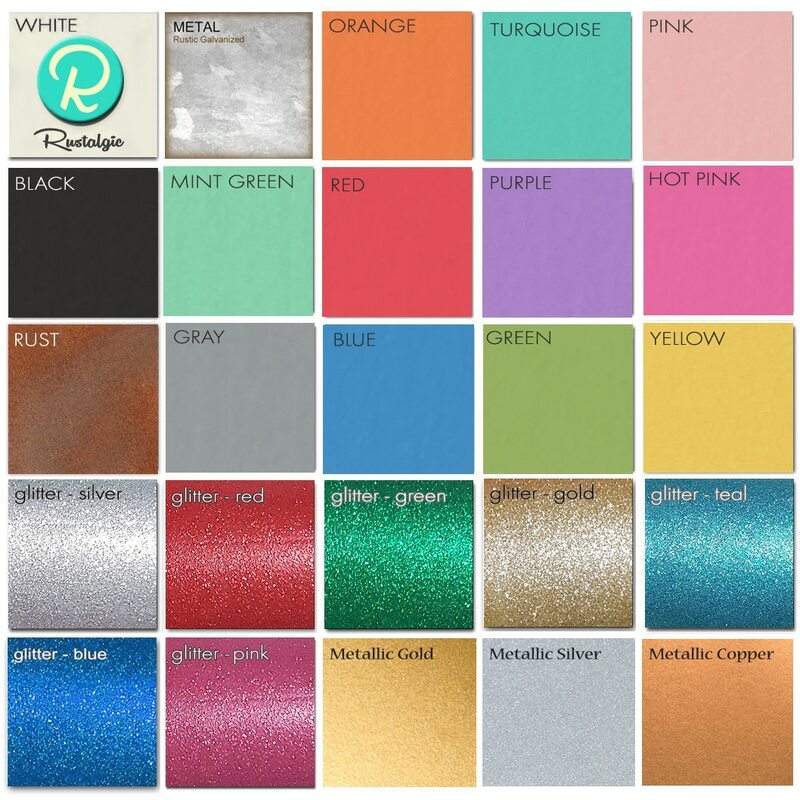 Great seller, very good quality, & fast shipping! Thank you!